McFarlane's Lawn & Landscaping has been providing Cape Coral and the Fort Myers area with custom concrete curbing since 2010. The colors and pattern combinations we can create are endless offering you a one of a kind landscape border. We offer free design consultations and no-hassle quotes, so give us a call at 239-220-8709 today. McFarlane's Lawn & Landscaping has been the leader in decorative concrete landscape curbing in the Cape Coral and Fort Myers area. We have been adding style and functionality to landscape across the area since 2010. We offer fully customizable concrete curbing with many different styles, patterns, and colors to choose from. This allows us to create a truly unique edging and make your landscape one of a kind. 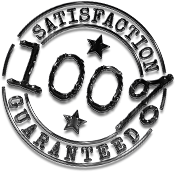 At McFarlane's Lawn & Landscaping we focus on quality and our equipment produces the strongest and longest lasting continuous concrete edging and curbing available. Our team has years of experience and will work with you to create a custom design that fits your landscape and desires. We can actually custom color our concrete landscape edging to match your home, buildings, or any other landscaping decor. How can Custom Landscape Borders benefit you? The appeal of this curbing is its ability to blend-in and complement your existing landscaping. At the same time, it reduces the time needed for maintenance. The McFarlane's Lawn & Landscaping process is noninvasive and most installations can be completed within a day or two. This beautiful option can help enhance your property value, prevent unwanted grass and weeds in beds, and help eliminate termites and pests that wooden borders can attract. If you're tired of plastic landscape edging or metal edging that gets bent over and falls apart, and want to upgrade to a decorative concrete curbing that will not only add beauty to your landscape but also keep the grass and weeds out of your flowerbeds. 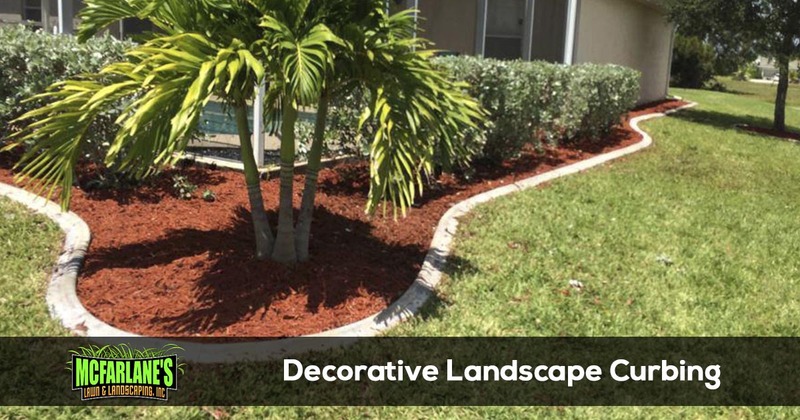 Call McFarlane's Lawn & Landscaping at 239-220-8709 today and request a free quote for landscape edging that will last.